This is part of my NetGalley catch up. Are you looking for a dark and totally gripping psychological thriller? 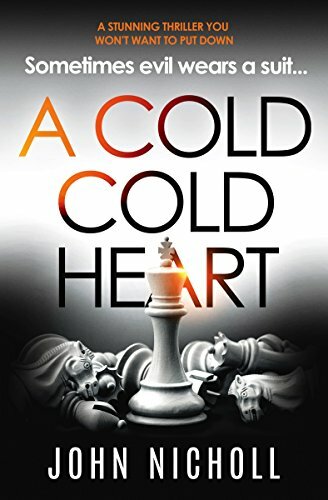 Then try John Nicholl’s unmissable A Cold Cold Heart today. Meanwhile, Gravel is on the hunt for a serial killer. And when Emily becomes the killer’s latest obsession, the murderer will stop at nothing to make his grotesque fantasies reality. How can you catch a killer who is hiding in plain sight? Can DI Gravel and Emily come away from this case with both their lives intact? John Nicholl can’t keep a secret, he tells you from the beginning of the book who the killer is. He is happy for his readers to know why this madman does what he does too but most of all he doesn’t just put you inside the mind of a killer, he puts the killer in your mind and believe me he stays there way after you close the book! D.I. Gravel is pushed and pulled in all directions in this story. His health is at it’s all time low, his drinking and unhealthy eating is out of control and his emotions torn to shreds. It feels like he is on a suicide mission of self-destruction but with a serial killer playing cat and mouse with him he simply won’t cut down on the work load. His daughter Emily has bagged a new job in a solicitor’s office so at least he believes he has one thing he doesn’t have to worry about!!!!!!!!!!! The killer is one smooth good-looking bloke but gift of the gab he doesn’t have. Oh my does he make me cringe with his superior condescending way that he speaks to women. Now I aren’t a violent person but honestly I wanted to slap him and then run like the wind! This killer really is one sick son of terrible mother! John Nicholl is highly skilled at intensifying the utter desperation of the victims while the self-gratification of the killer remains the only goal. His journey to continually re-enact his revenge on the person that would never allow him to have a normal relationship. Talk about making those goose bumps, bump! A super series but these books can also be read a stand alone reads. 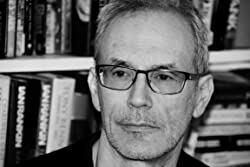 John has publishing deals with Bloodhound Books, W.F. Howes Ltd, and Hungarian publisher – Konyvmolykepzo. He is represented by Toby Mundy – Literary agent at TMA. Next postLies Between Us by Ronnie Turner @Ronnie__Turner @HQDigitalUK #NetGalley #BlogTour #LiesBetweenUs #WhereIsBonnie?